Joni and Friends is celebrating 35 years of ministry! I am very grateful for Joni Eareckson Tada and for the ministry of Joni and Friends. I would not be where I am today in my walk with the Lord were it not for Joni and Friends. The Lord has used this ministry to teach, encourage, and equip me to live life well with a chronic illness. Today I would like to share about how this ministry has impacted me. I first heard of Joni when I was a child. I remember seeing her movie and learning about her life with quadriplegia. I admired her artwork, and I was especially amazed by the fact that she could create such beautiful pictures by using her mouth to draw and paint! I remember looking through her first book, Joni: An Unforgettable Story, and seeing pictures of her before and after her diving accident. She was a remarkable woman who had learned to trust God in the midst of suffering, accept the life that He had given her, and serve others affected by disability. Little did I know as a child what an impact Joni would have on my life in the years to come. I struggled with dysautonomia as a teenager and in my early 20s. When I was 23 the dysautonomia began to affect me so much that I had to quit work completely. Soon my health deteriorated to the point that I became primarily homebound. This was a challenging and lonely time for me as I dealt with various changes that accompany life with a disabling chronic illness. 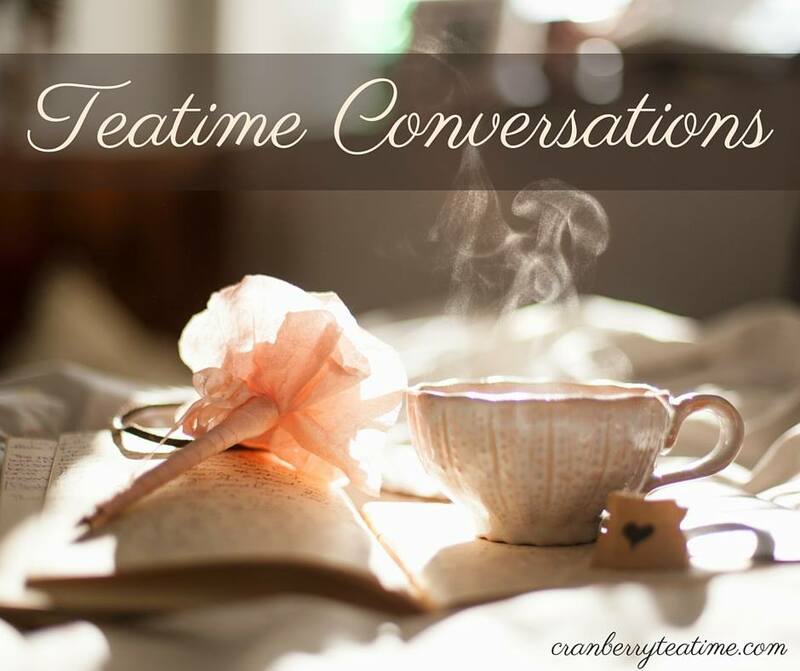 There was much that I needed to learn about my illness and how to live well with it. I had to learn new ways of completing physical tasks, when to ask for help, and when to do something on my own. I especially struggled to learn what it meant to be an excellent wife now that I was disabled. In those early years of being so sick I felt lonely and ill-equipped to live life well with dysautonomia. I didn’t have a solid understanding of suffering from a biblical perspective, but I did have a deep, abiding peace in the Lord during that time. I trusted that all of this was in His hands. I knew that He could heal me, but that He didn’t have to do so. I worked on growing in contentment and joy. The Lord’s grace carried me through those hard early years of being so sick. After a couple of years I found the ministry of Joni and Friends online. Because of Joni and Friends I felt less alone in living with a disabling chronic illness. 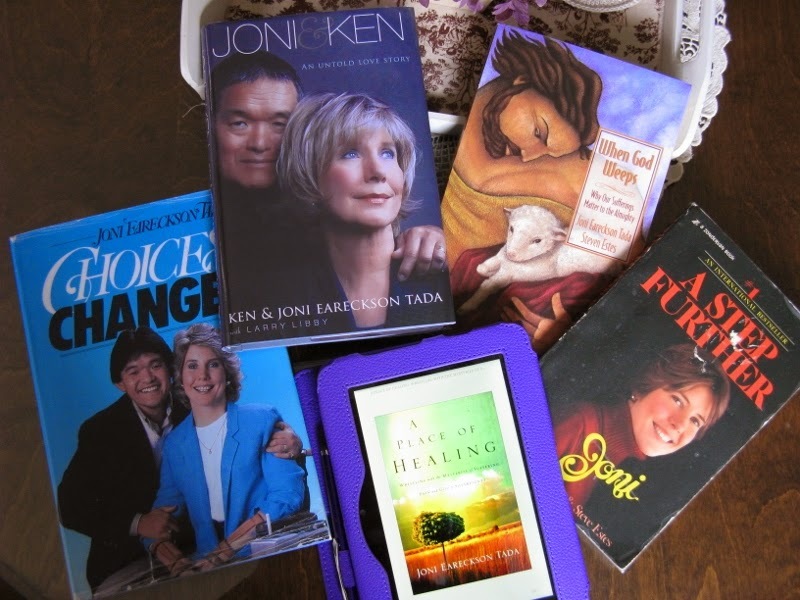 Through their resources and Joni’s books, I learned so much from God’s Word about illness, suffering, disability, God’s sovereignty, Heaven, perseverance, joy, and humility. The Lord used Joni and Friends to help equip me to live life well with dysautonomia. The first book I read by Joni was When God Weeps, which she co-authored with Steve Estes. It was so refreshing to read a book that dealt with disability and suffering on both a practical and a theological level. This book was just what I needed. God used this book to teach me more about His sovereignty and His plan and purpose in suffering. He used it to strengthen and grow my faith. It was in reading When God Weeps that I began to understand more fully the meaning of 2 Corinthians 4:16-18. These verses quickly became my favorites and helped me through my hardest days. I have gleaned from Joni’s wisdom not just through her books, but through the Joni and Friends website. There is a wealth of information, encouragement, and biblical teaching that can be found in the blog posts, radio programs, television programs, daily devotion emails, and in the bookstore. I have benefited greatly from all of these resources. One of my favorite things about reading on the Joni and Friends website is that I get to learn about people with other types of disabilities. Their personal stories and examples of faith are a challenge and an encouragement to me. It also provides me with the opportunity to pray for them in their suffering. Through the Joni and Friends website I learned about the Wheels for the World program. In 2009, when I had an extra wheelchair, I had the privilege of donating that wheelchair to Wheels for the World. My wheelchair went to the country of Peru. I still think about and pray for the person who received my wheelchair. I hope that someday in the future I will be able to donate another wheelchair to Wheels for the World. Thank you, Joni, for the words of wisdom you have shared in your books, on the radio, and on your blog. God has used your biblical teaching to help equip me not just to live well with dysautonomia, but also to blog about life with a chronic illness from a Christian perspective. Thank you, Joni and Friends, for serving me, and countless others, who are affected by disabilities. May the Lord continue to bless your ministry. Happy 35th Anniversary, Joni and Friends! P.S. There are many bloggers who are writing blog posts in celebration of Joni and Friends 35th Anniversary! You can find their blog posts here on the Joni and Friends 35th Anniversary Blog Contest Pinterest board. I have been blessed by reading these posts, and I know you will be too! Rachel, you look so beautiful in that top photo! It popped out in my reader. I remember the first time I saw the Joni movie back in elementary school. Her strength and faith have always been a model for me. Thanks, Emily. I'm glad that you have been blessed and encouraged by Joni and Friends too! Aw, thanks, Kristin! Joni sure has been a model and godly example for many people. If an author can be a mentor, then Joni is mine!